We’ve all gotten those emails. You know the ones, the unsolicited spam messages that only serve to clutter your inbox before being unceremoniously dumped to the junk folder where they belong. The ones that faun over and market products and services you simply do not need or want. Everyone gets them and nobody wants them. If this was your only metric to measure from, you wouldn’t be wrong in thinking that email marketing seems ineffective overall. But email is like any other marketing strategy; there are definitively wrong and right ways to go about it. Spam emails annoy and alienate. Intelligently sent automated emails allure and attract. Before you start drafting a message, consider who it is you want to send to. Do you want to cast the widest net possible, or would you like to attract a smaller but more interested crowd? Mass emails shotgunned out to thousands of irrelevant contacts are nice if you want quantity over quality, but more targeted efforts will yield more rewarding returns. Use your automated solution to rifle through an email list and score/segment the targets for insight into who the most promising leads will be right off the bat. Now that you’ve decided who you’re emailing, you have to decide the content of the initial email itself. This will vary depending on the type of enterprise you are and what kinds of individuals you are trying to reach. One often forgotten method is what I like to call “the 50s marketing philosophy,” after the quaintly simplistic ads from the dawn of television. Plainly introduce yourself, your enterprise, and the product/service you offer. It’s simple, upfront, and on-the-nose enough to stand out amidst the crowd. Another effective strategy for the first contact is to present content that the particular recipient will find engaging or useful. Whichever avenue you choose, make sure there are links to your website in the email and calibrate your solution to track clickthroughs. This will help you monitor engagement and see how effective your messages are. After the first volley of emails is away, you should be paying close attention to your solution’s dashboard. Spend the next week monitoring how many people opened the email, how many of them clicked the links (and which links they opened), and how long they stayed on your website. Your solution’s data collection and reporting capabilities are going to be instrumental going forward. They are the windows through which you see your emails’ successes and failures. Now that you have information concerning how/if leads are interacting with the messages, you can progress the campaign accordingly. The data your solution provides gives you the confidence to abandon dead leads and pursue the others. You then need to score and segment your new leads from the first wave of messages to see the quality of each. Using the information regarding lead quality, automate your solution to send friendly follow-ups to promising respondents shortly after. Maybe the follow-ups contain more interesting content or offer special discounts that will make them feel like they’re getting a really good deal. These follow-ups begin a rudimentary brand relationship and drive engagement. Not every lead will continue interacting with the emails you send. However, some will continue to interact and click through the links, especially if you sent out initial emails to a more specialized list of individuals. This is why your solution is paramount in managing a successful email campaign. The process of back-and-forth between you and your leads will go on for an indeterminate amount of time, depending on the lead’s level of interest at the outset of the process. Throughout the whole thing, you should keep monitoring and updating your solution. After a long and hard campaign, you will find that some leads are ready to move to the next step of the process. It’s time to create and nurture a personal relationship with that lead. Admittedly, this is less a job for automation and more a job for the marketer, but the solution brings you to this point. By now you should be exchanging emails with the lead and building more of a personal relationship than the brand relationship your automated emails have. Establish a rapport and let that lead know that there was a person behind those automated messages. This can go on for as long as appropriate but ideally should last somewhere in the ballpark of a week to a week and a half. Having made it far enough to be considered legitimate sales opportunities, your contacts will now be ready for the sales hand-off. This process will be easier if your solution contains both CRM and marketing functionalities, as CRM generally makes life easier for sales teams. Where you likely started with a lengthy email list, now you have a smaller group of highly qualified leads far more likely to turn into a sale. After a brief time to pat yourself on the back for a job well done, you can jump right back in at step 1 to do it all over again. The discerning reader may have noticed that we never referred to any specific solution during our crash course. Far from an oversight, our ambiguity is marked up to the fact that any marketing automation solution can help you run an email campaign. Email automation is one of the cornerstones of the software and there is not a vendor in the market that lacks the features discussed here. 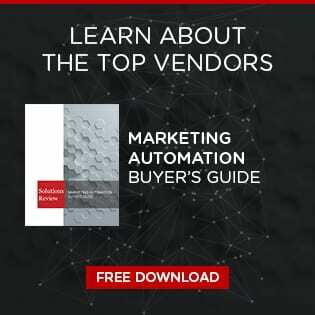 So long as you have marketing automation at your back, and so long as you use it to its fullest potential, you can take a strategy that many write off as spam and turn it into a profitable marketing endeavor.